Intimate Earth has created the most advanced ultra light silicone glide form ever. 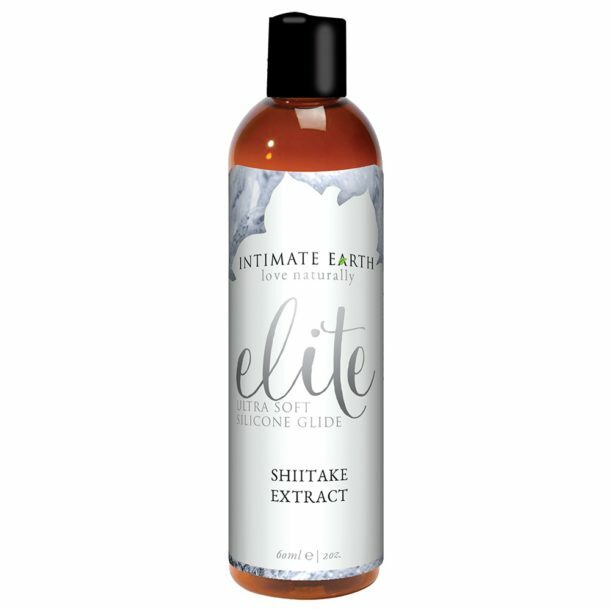 Silicone of the highest grade are infused with natural Shiitake extracts and nourishing Vitamin E in order to give the best glide product available on the market. This leading edge formula is not absorbed by the body and the unique consistency gives maximum lubrication with an undeniable light silky smooth feel over a very long time.